Join us, in honor of Mass NOW’s 50th anniversary, as we build a more inclusive and equitable Massachusetts for the next generation to come. Progress can’t wait. 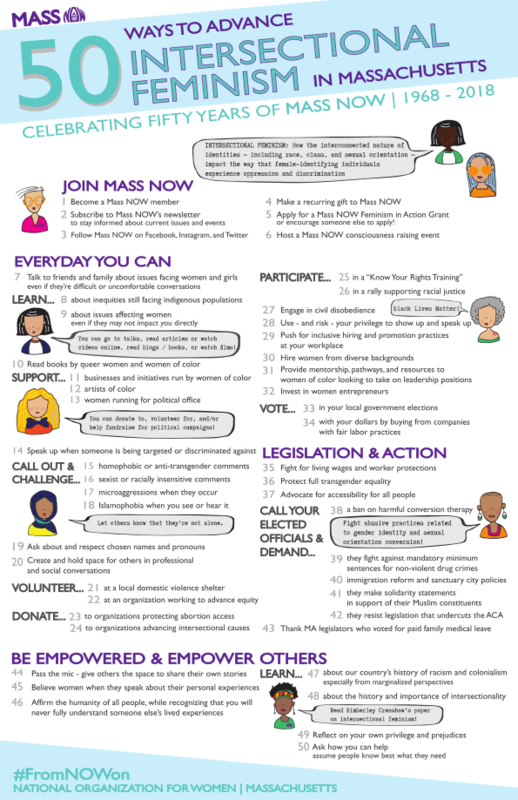 Since 1968, the foremothers of Mass NOW mobilized around opportunities to advance reproductive rights, end violence against women, fight for racial justice, and ensure full constitutional protections for the LGBTQ community. This unwavering commitment to intersectional justice has defined Mass NOW since its inception, and #FromNOWon we reaffirm our commitment to this mandate. Please donate now in honor of Mass NOW's legacy, and in support of Mass NOW Inc.'s continued success. Donations of $250 and above receive name placement on limited-edition anniversary print and one framed print. Our limited edition print was designed by local artist Janine Kwoh. * This campaign supports Mass NOW Inc. - our 501(c) 4 legislative advocacy branch.